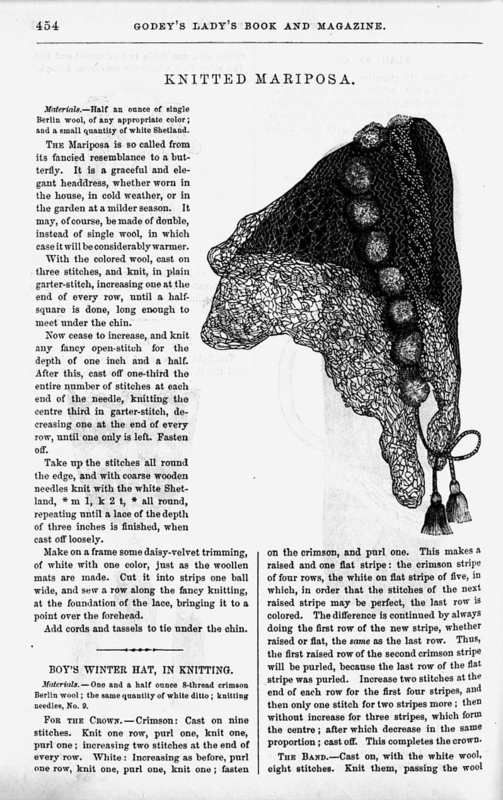 The Work Department section of Godey's Lady's Book featured various items to make. 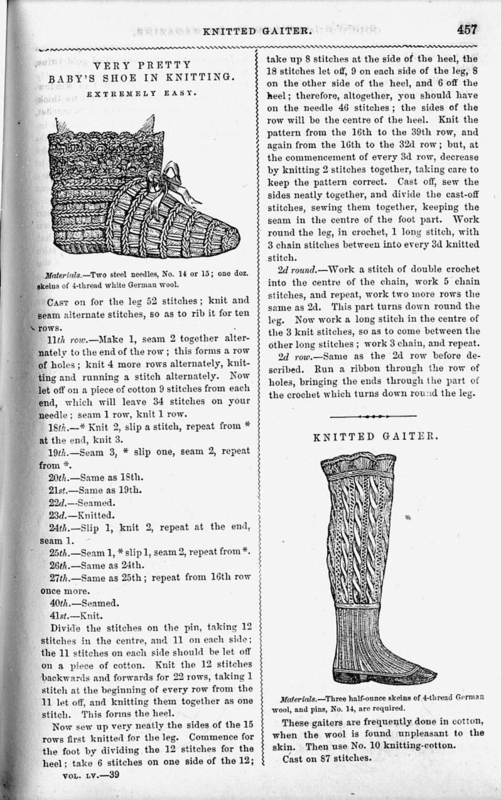 Some of the articles of clothing, home accessories, etc. have become quite popular today. 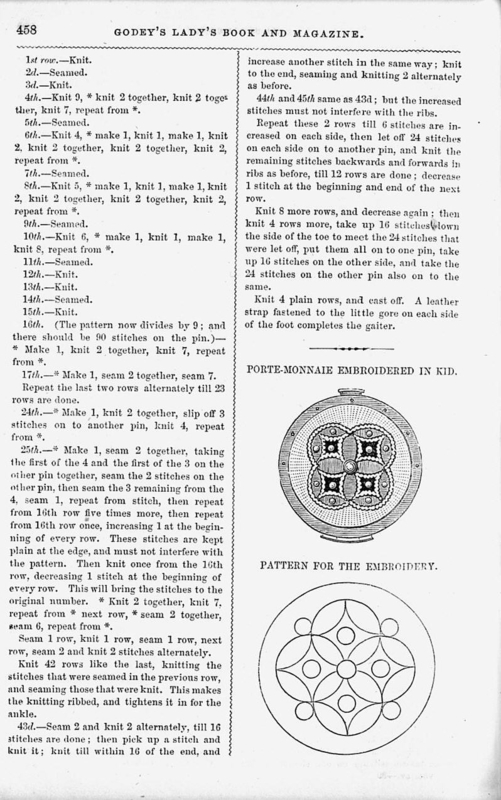 Here are links which represent a sampling, of some of the many patterns brought to us by Godey's Lady's Book. Check back for new entries.